Want to do work in the Railway department then, now you have a great chance to start doing a career in Indian railway department with the Posts of Junior Engineer (JE), DMS, CMA, NTPC & Various Posts. Then, get selected on the basis of CBT Exam. As RRB Ahmedabad department inviting interested candidates for appointed of 453 Bumper Junior Engineer (JE), DMS, CMA, NTPC & Various Posts Jobs vacancy under Railway recruitment board overall in Ahmedabad. If you possess minimum eligibility (As mentioned Below) then, you can do online registration from the official portal website of RRB Ahmedabad i.e www.rrbald.gov.in (Note: No other Apply Method will be accepted). We are requesting the candidates that, they must first go through official notification & all important detail regarding RRB Ahmedabad recruitment 2019 Notification. 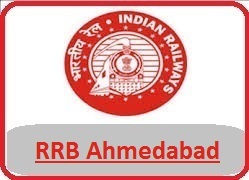 RRB, Ahmedabad Board is authorized to recruitment intended candidates under Group C, Junior Engineer (JE), DMS & CMA Posts under Ahmedabad region. Railway Recruitment Board is responsible for conducting Computer-based exams in Indian Railway. Application form available and will remain active 02-01-2019 to 31-01-2019. Below we share all Indian Railway v recruitment current running & upcoming Posts notification detail so, stay tuned with us. If you are not eligible for RRB Ahmedabad Current running notification then, you can also check other 21 railway recruitment Board wise Jobs notification from the link Below. If you are looking for more notification to be released by Railway recruitment under Ahmedabad Region Railway cell then, you can visit this page every day or just subscribe our website to get direct recruitment in your E-mail So, that you never miss any Jobs notification from Ahmedabad railway recruitment Board. 2 years experience in toyota , diploma in automobile engineering, any placement for me ? 1 year experience in orbit bearing pvt.ltd, diploma mechanical engg. i m interested this job.. I have completed my Graduation and looking for a job…Please do help me sir..9847762898.
i have completed my Post Graduation.i am very Happy to work in railway. 2 years experience in sac/isro ahemdabad (indian space research organisation) , diploma in mechanical engineering, any placement for me ? I am a gold medalist. I Am interst in Railway Any department job plzz.Tell me. Train Clark junior Clark job . Train Clark, junior Clark job B.A.